Missing teeth can be embarrassing, causing people to hide their smile and lose their self-esteem. The space created by missing teeth can easily become infected with bacteria, causing other teeth to shift out of place, and making it difficult for people to speak or eat correctly. 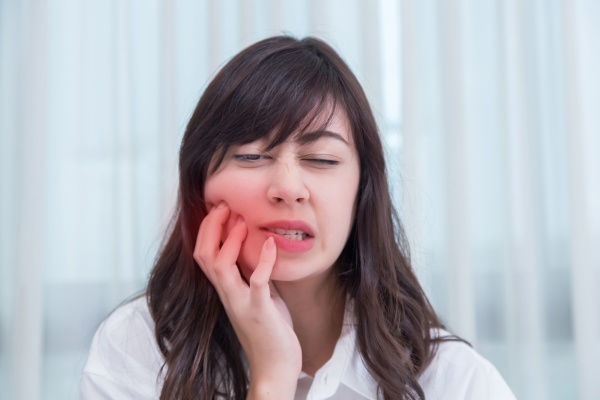 The Team at DeSalvo Dental and the staff at DeSalvo Dental are sensitive to the hardship a missing tooth can create. We provide dental implants so that our patients can regain their self-confidence, improve their health, and approach life boldly. Installing implants is a complex procedure and patients throughout the 07631 area trust us to replace their missing teeth due to the stellar reputation of The Team at DeSalvo Dental. We know that there are multiple dental providers to choose from so The Team at DeSalvo Dental and the staff at DeSalvo Dental are constantly looking for ways to improve the overall experience of our patients. Our office is conveniently located in Englewood and we treat patients throughout New Jersey, offering them the opportunity to restore missing teeth in a way that looks natural and beautiful. If one or more of your teeth have fallen out, you may qualify for dental implants as a way to permanently replace the missing teeth. In order to find out, schedule an appointment with our Englewood dentist office by calling 201-244-7658. The Team at DeSalvo Dental will examine your mouth and jawbone to determine if the procedure is right for you. Before you can get started, your gums need to be healthy, and your jawbone needs to be strong. If, The Team at DeSalvo Dental identifies any cavities or signs of gum disease, this will need to be treated first. Once you are cleared for the procedure, the staff at DeSalvo Dental will take an impression of your mouth so that the new teeth can be created in a dental lab. Each tooth will be made to match the size and shape of the surrounding teeth along with having a perfect color match. This way your smile will appear completely natural once done. Patients throughout NJ are delighted with the results since no one can tell the difference between which teeth are real and which ones are synthetic. The next step in the procedure is to have a metal post implanted under the gum line. 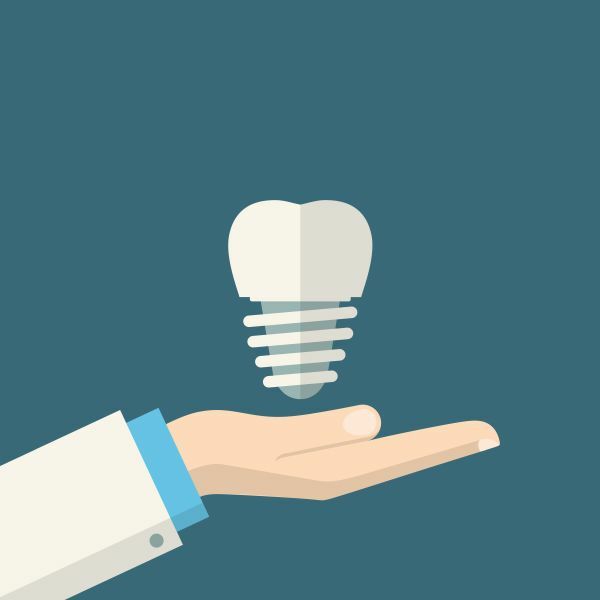 This aspect of the procedure is what sets a implant apart from other forms of cosmetic dentistry and The Team at DeSalvo Dental is a true expert at performing the procedure. The metal post is secured to the jawbone in order to create a durable, synthetic root system that rivals the strength of natural roots with one exception – metal can’t become infected. Over the course of a couple of months, the metal post and jawbone will fuse together. This creates a level of durability that cannot be replicated in any other type of procedure. Afterwards, The Team at DeSalvo Dental will secure the new synthetic tooth to the metal post at the surface of the gums. The new tooth is attached so securely, that patients can eat their favorite foods, maintain an active lifestyle, play sports, and more, without fear of their tooth becoming loose or falling out. Patients throughout NJ enjoy the benefits that come from never having to worry about their tooth again. Check out what others are saying about our implant services on Yelp: Implants Englewood. Patients in the 07631 area, trust The Team at DeSalvo Dental and the staff at DeSalvo Dental to provide dental implants in a way that is comfortable and functional. With any type of surgical procedure, it is important to visit an expert and by doing so you will reduce your risk of complications or the implants not functioning properly. The Team at DeSalvo Dental takes the time to make sure that every aspect of the procedure is completed correctly – the first time. Once implants have been installed, they are extremely easy to care for. We hear from patients throughout Englewood with questions that range from “Do implants come out” and “How do I brush my teeth”. The answer is fairly simple. Since dental prosthetics are installed by creating a synthetic root system, they are durable and secure and will not fall out or become loose. This means you can go play basketball, run in a 10k, and wrestle with your kids – without worrying about your tooth coming out. In order to care for your implants, we advise patients throughout New Jersey to brush and floss their teeth throughout the day like they normally would. Additionally, it is important to schedule dental exams and cleanings with The Team at DeSalvo Dental at least twice a year. The staff at DeSalvo Dental will help to clean your teeth and ensure that they stay healthy. This step is incredibly important because while dental prosthetics cannot become infected themselves, the teeth around them can. If, in the future, you suffer from a severe case of gum disease or a dental abscess, the infection can spread into your jawbone. This puts your implants in jeopardy because in order to stay secure, the jawbone must be in good health. If it becomes infected, your dental prosthetics and all of your teeth will be in jeopardy. If you currently have implants and your teeth start to hurt, call (201) 244-7658 to schedule an appointment immediately. This way we can identify any infection and treat it before it can spread into the jawbone. As long as you follow these simple preventative care steps, your implants and natural teeth should remain in good health. In order to find out if implants are right for you, call 201-244-7658. The Team at DeSalvo Dental and the staff at DeSalvo Dental are friendly, welcoming, and will take the time to educate and inform you of all of your options. Patients throughout Englewood NJ trust The Team at DeSalvo Dental to replace their teeth in the way that helps them to accomplish their lifestyle goals. That means that The Team at DeSalvo Dental will make a detailed recommendation about which direction you should go for replacing your missing teeth. Just remember that you can have a beautiful and natural looking smile by working with a professional implant dentist, and if you are suffering from missing teeth, we can help you by transforming your smile. Schedule an appointment and let us transform your smile into something as beautiful as you are.